Meagan Durlak is Design Director at IDEO.org, the nonprofit organisation born out of the well-known innovation and design firm IDEO. Like IDEO, the organisation practices human-centered design, imagining and implementing products, services, and experiences to improve the lives and livelihoods of people in poor and vulnerable communities around the world. Together with her colleagues, team members and partners, Meagan is out to design an end to poverty by bringing creativity, empathy, and innovation to the social sector. She uses her craft throughout the process as a way to endlessly create experiences and to give back to those she is working with or for. When she’s not obsessing over a clever way to share insights, she can be found crafting unique team experiences to inspire her colleagues and/or partners to think differently. She believes that thoughtfulness is as integral to the design process as empathy. Trained as a communications designer, Meagan veered from the traditional path to explore her creative sensibilities in a range of unique settings, including an innovation center, a museum, and the Canadian government. 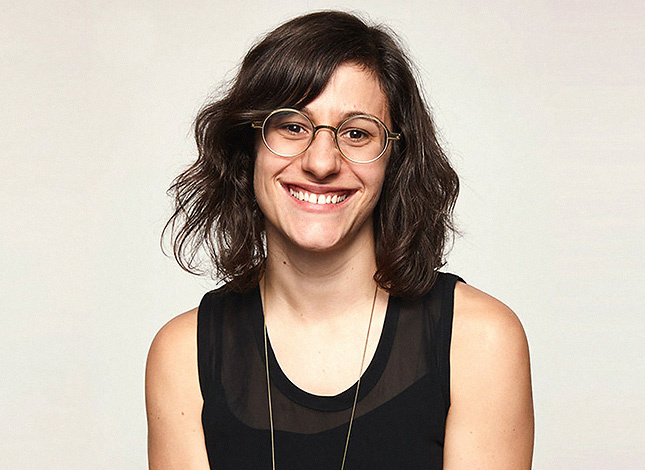 Prior to IDEO.org, Meagan led multi-disciplinary teams at design shops like Doblin and Veryday. She holds a master’s degree in Transdisciplinary Design from Parsons The New School for Design and a bachelor’s degree from Concordia University. The most important voice in any systemic challenge is that of the individual that lives the struggles to be solved on a day-to-day basis. Whether it’s in low-income communities in Dallas, or working through disability-inclusion in Nepal, there’s nothing more important than making space for others to empower their own voice. Rather than simply handing their knowledge over to the designer, design can be used as a tool to make space for these people, moments and challenges. Sometimes, this requires thinking about what it means for the designer to be a truly ‘invisible’ entity. Meagan will share with you a collection of research methods and approaches that show the role of design in creating vehicles for individual expressions about the challenges that they face. Meagan will do that with the use of projects from around the world at IDEO.org that illustrate the effectiveness of design as a platform for the user, not just the final solution. The typical design process explores many different ways to build methods and to use research as a way to put ‘people at the center’. To do this, however, it’s important to think about what it takes to make the role of the designer invisible. Which means, disempower our role as the designer, and make more space for others to speak up for themselves. In this masterclass you’ll learn about how to create participatory research methods and design outputs that make it possible for a user to empower their own voices long before a service or product has even been designed. You’ll learn how to pull from existing human-centered design methods and approaches to create micro-moments of elevation for the user at the heart of any problem.